Located in Suomu, the Arctic Circle Restaurant's Scandinavian kitchen offers traditional Lappish dishes as well as delicious international cooking. There are plenty of choices to suit everyone's taste and budget, whether coming to enjoy a nice home-cooked lunch or a gourmet-style dinner. The hotel's cosy lobby bar is an ideal place to have a few relaxing beverages after a hard day's work. There is also a homely fireplace in the lobby, where you can relax in the company of your family and friends. 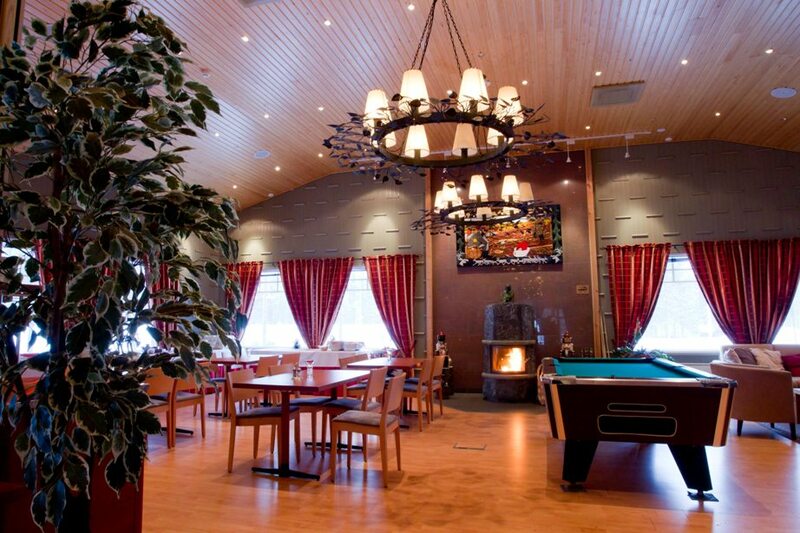 Arctic Circle Hotel restaurant is a spacious and well-lit area, able to cater for up to 240 people. The area is also non-smoking. The restaurant facility is also ideal for hosting a wedding reception or any other celebratory occasion. The area can fit up to 250 people, and our excellent kitchen can prepare an unique 3-course banquet with a champagne reception.